In an attempt to curb the hazardous blanket of smog engulfing India’s capital city of New Delhi, authorities announced Friday that they will restrict movement of vehicles in the city. Starting Jan. 1, private vehicles would only be allowed on the roads on alternate days. 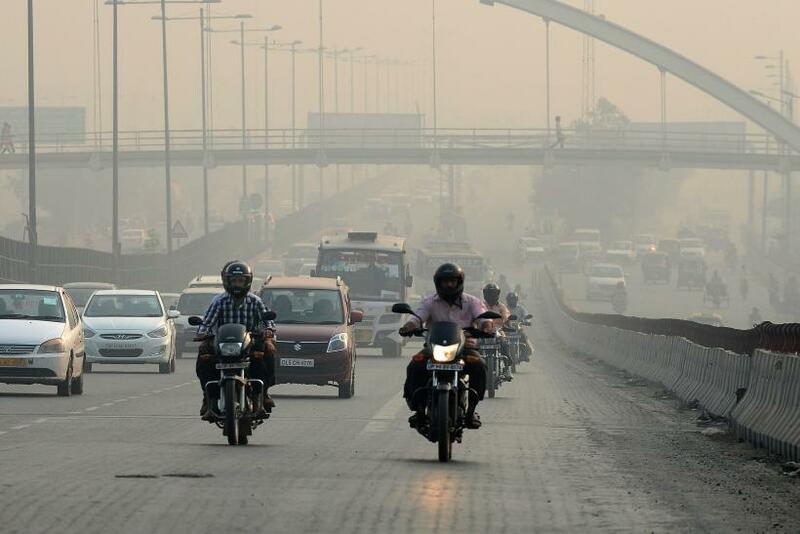 “Particularly in winter, when the pollution is high, we will implement for some time odd and even number vehicles operation,” Delhi Chief Secretary K.K. Sharma reportedly said Friday. However, the rule will not apply to public vehicles. Currently, there are nearly 9 million vehicles registered in New Delhi, and 1,500 new vehicles are added every day. Authorities hope that the move, necessitated by an unprecedented rise in air pollution levels in the city, would reduce hazardous emissions by half, according to local media reports. New Delhi, a landlocked city in northern India with a population of nearly 26 million, suffers from a “toxic blend of geography, growth, poor energy sources and unfavorable weather that boosts its dangerously high levels of air pollution,” according to a recent study by the U.K.’s University of Surrey. As a result, in 2014, New Delhi was named the world's most polluted city by the World Health Organization, after it dethroned Beijing to gain the notorious distinction. An air quality index at the U.S. embassy in New Delhi Friday stood at 161 -- an “unhealthy” level of PM 2.5 particles, which can travel through the respiratory tract into the lungs, causing short-term health effects such as lung irritation, coughing, sneezing, runny nose and shortness of breath. Long-term exposure to such fine particulate matter is linked to chronic bronchitis and reduced lung function in addition to an increased risk of heart disease.